Pundits and Monday morning quarterbacks around the globe opine that it was subprime mortgages and loose qualification standards that caused the mortgage foreclosure crisis and subsequently the world financial crisis. But according to Wikipedia the first subprime was initiated in 1993, so subprime loans were nothing new in 2007. From 1993 to 2006 borrowers for the most part paid their subprime loans and kept their homes. So what was the catalyst that caused homeowners en masse to default on their subprime mortgages and eventually lose their homes to foreclosure? It doesn't take much research to realize that a job loss is the major reason behind a borrower's inability to make payment obligations on automobiles, homes, etc. In 2006 the economy was relatively strong, unemployment was low, yet by the end of 2006 foreclosures were becoming an epidemic. Where were the job losses occurring? How did they go unreported? Why did these massive job losses go unreported? There was something quietly happening in the background which went largely unnoticed. In city council chambers, county commission offices and state capitols one by one a political movement quickly, yet silently swept throughout the land. It was a movement many mused as largely insignificant if not outright politically correct, a movement "whose time had come". In fact the only time this sweeping political agenda* made news was when newspapers, television media, universities, and "charitable" organizations were editorializing in favor of enactment of these anti-choice initiatives. So when these nationwide and worldwide government mandates started having a negative financial impact on the businesses they were meant to legislate behavior in, the media was not about to report the failings & disasterous effects of the same legislation they earlier advocated. As it happened, predictably to some, the enactment of the aforementioned behavioral control legislation (smoking bans) decreased revenues in most, once profitable, hospitality businesses. The eventual closure of these businesses led to significant job losses and ultimately the avalanche of foreclosures which thrust the world economy into its current crisis. The links above provide further information to backup the business closings mentioned, but for every establishment reported closed there are no doubt many others unreported. And for every establishment reported closed there are 20 - 30 jobs eliminated. In Minneapolis / St. Paul area alone nearly 10,000+ jobs were eliminated due to smoking bans (not including indirect jobs affected such as vendors, suppliers etc. ), multiply that 10,000+ by the number of major metropolitan areas which enacted bans between 2002 - 2006 and you can understand the reason for the steep rise in the rate of subprime mortgage defaults and foreclosures in late 2006. As a matter of record, this author's home was foreclosed upon in 2005 and was eventually forced out in late 2006, due to job loss from smoking ban, just as Wikipedia data suggests. But he forgets to mention what later happened when those workers lost their jobs due to revenue drops after smoking bans were enacted.....massive numbers of home foreclosures, consumer spending drops, the ripple effect multiplies....etc....etc. Meanwhile, the special interests who funded and lobbied lawmakers into enacting the economy ravaging legislation have some very dubious financial ties to, you guessed it.........Nicdoderm, Nicoderm CQ, Nicotrol, Nicorette, Commit, etc. So the next time some pundit tells you the economic meltdown was caused simply from subprime loans, asked them why the meltdown didn't occur in 1993 when the first subprime loans came into being. Then asked them what caused the job losses between 2002 - 2006 which prevented subprime mortgage holders from paying their mortgage? If they're being honest, they can point to only one industry sector which was under seige by special interests and liberal nanny-state lawmakers......the hospitality industry........and the weapon of mass job destruction?.......Smoking Bans. Update: Economists dispel flawed "studies" that claim smoking bans do not harm business. So, even if legislators are reluctant to listen to arguments about individual freedom or those based on preserving the welfare of tobacco manufacturers, there are other, very real economic trade-offs they should consider when voting on a smoking ban. Dr. Jonathan T. Tomlin is an economist and principal at LECG, an international economic research and consulting firm. Additional reading: RWJF (Nicoderm maker Johnson & Johnson's partner) has provided over 2,400 grants totalling more than $446 million to promote behavioral control legislation that has decimated the worldwide economy. See which lawmakers voted to eliminate choice and jobs (vote link) here in Minnesota. Here's a spoiler alert for you.....liberal lawmakers, called DFL here in MN, voted approximately 85-95% in favor of unnecessary, government imposed, smoking bans....Republicans voted approximately 85-95% in favor of PRIVATE hospitality owners making their own business decisions....see vote link above. To understand Pat McKone of the American Lung Association of MN’s outrage regarding E-cigarettes, you have to understand the background of the smoking ban movement and how they came about. The American Lung Association, American Heart Association, American Cancer Society, American Medical Association, etc were instrumental in lobbying lawmakers for smoking bans around the country. But what politicians and the public were not told, is that these non-profit heath organizations were paid nearly $446+ million for their role in “educating” lawmakers about the need for smoking bans by the Robert Wood Johnson Foundation (RWJF). RWJF is the political wing of the Johnson & Johnson Company. Why would J & J fund smoking ban lobbyists to get cigarettes banned? Johnson & Johnson manufactures or owns Nicoderm, Nicoderm CQ, Nicotrol, Nicorette, and Commit alternative nicotine delivery products. As such, their sole purpose in funding the non-profits to lobby in favor of smoking bans is purely profit motivated. Eliminating the public use of tobacco by way of coerced government legislation (smoking bans), is primarily meant to increase demand for the products J & J sells. 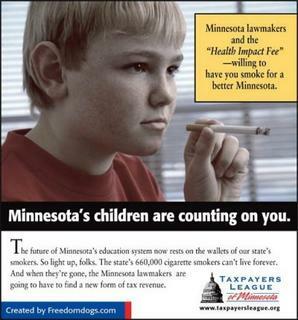 And it's working, here in Minnesota BCBS hailed the bans for tripling demand of the smoking cessation products they distribute....Nicoderm, Nicoderm CQ, Nicotrol, Nicorette, and Commit, all sold or manufactured by J & J; which helps explain how J & J profits increased 40% in 2008. Update 2013: Obama is now using OUR tax dollars (stimulus bill) to fund the giveaway of these Quitplan alternative nicotine delivery drugs to smokers Nicoderm, Nicotrol, Commit, etc. ....making our 'friends' at RWJF and J & J company even more prosperous and vociferous against e-cigs. So when Pat Mckone feigns outrage over smokers’ substituting one addictive drug delivery system (cigarettes) in favor of an alternative nicotine delivery system (E-cigarettes) her real complaint is that the substitute nicotine system was not the one they were paid to push, (Nicoderm, Nicoderm CQ, Nicotrol, Nicorette, and Commit). New kindler, gentler.....WEAKER, White House declares Guantanamo detainees are no longer "enemy combatants".......they're "extended stay visitors"
Elsewhere in the western hemisphere, Russia considers using bases in Venezuela and Cuba for its strategic bombers on the doorstep of the United States. The Obama administration issued the following statement while cowering beneath the Oval Office desk......I told you "....change we can believe in. .."
After thinking about it for awhile I’ve determined there may be a way to get language inserted into a final smoking ban bill that is sure to drive the special interest funded lobbyists apoplectic. After some research we've discovered that the secondhand effects from alternative nicotine products, such as the patch, gum, and lozenges; whose demand may increase after smoking bans are enacted, have been found to cause a significant number of nicotine poisoning cases in children; therefore in order for the state to further reduce its potential liability, alternative nicotine products like Nicoderm, Nicorette, Nicotrol, Commit, etc. must not be sanctioned as a safe alternative product by state or local health departments, quitlines, or other non-governmental agencies such as the American Lung Association, American Cancer Society, Blue Cross Blue Shield, AMA, etc. 'Nicotine poisoning results from too much nicotine. Acute nicotine poisoning usually occurs in young children who accidentally chew on nicotine gum or patches'. CTA would love to be in chambers to see the faces of the RWJF (Nicoderm) funded smoking ban lobbyists (ALA, ACS, CTFK, AMA, etc.) when the amendment above is proposed, and / or inserted into smoking ban legislation. Please remember to send the proposed language above to lawmakers when or if the cause looks lost and anti-property rights legislation seems imminent. ".....it's for the children afterall...."
"......if it saves just one life, it's worth it......"
WOODBINE, Ga. — A Camden County inmate has been arrested trying to sneak back into jail. Sheriff Tommy Gregory said Saturday that 25-year-old Harry Jackson of St. Marys had broken out of the jail, strolled to a nearby convenience store where he broke in and stole about 14 packs of cigarettes. Gregory said authorities at first thought they had separate incidents — a jailbreak and a burglary. The jailbreak was discovered when a door that had been secure earlier was found unlocked. The jail is supposed to be a smoke-free environment. The way smoking ban activists treat smokers these days, you'd think they would agree that prison is the one place smokers, and their habit, belong. Regular readers know that it was Robert Wood Johnson Foundation's influence over lawmakers via non-profit funded surrogates who were instrumental in getting smoking bans implemented around the globe. Those same bans caused tens of thousands of business closings, eliminating hundreds of thousands of jobs, thrusting the world economy into its current state. Nominating tax dodging officials, and individuals who are responsible for contributing to our current economic meltdown into prominent positions certainly is change......but at what cost?